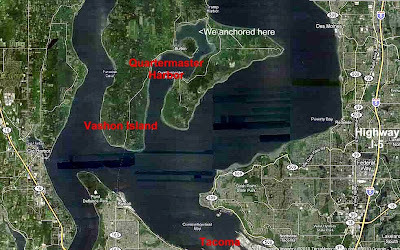 After "art glass" city, we headed just across Commencement Bay to Vashon Island and Quartermaster Harbor. It was a short cruise from the City to a suburban anchorage. 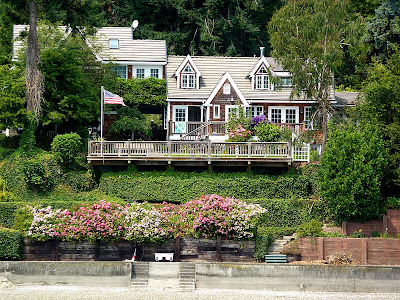 We anchored in front of many waterfront home windows, hopefully enhancing their vistas. These million dollar homes surely enhanced our views! Quartermaster Harbor is inside Vashon Island just across the bay from Tacoma. 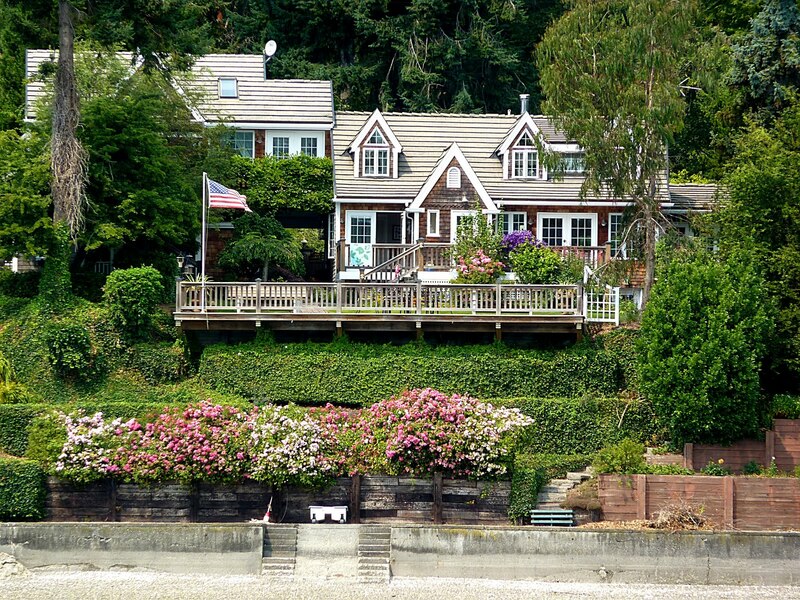 One of the many waterfront homes in Quartermaster Harbor. 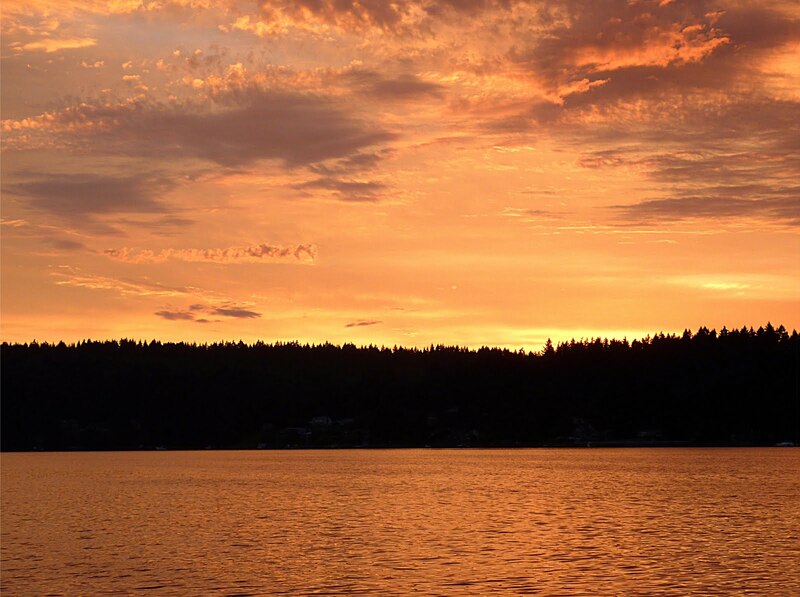 The harbor provided a calm anchorage with just a few other boats. Justin and Jerry went fishing and crabbing. Although the fish weren't biting, the crabs had a three chicken leg feast, leaving only the bones for us. Later, we feasted on home made linguine and meatballs and for dessert enjoyed a movie called "Nothing But the Truth". We'll see if we can get into Gig Harbor tomorrow for a couple days. G-night!